DEVELOPMENT OF DIRECTALPINE, Made in Europe - Direct Alpine s.r.o. 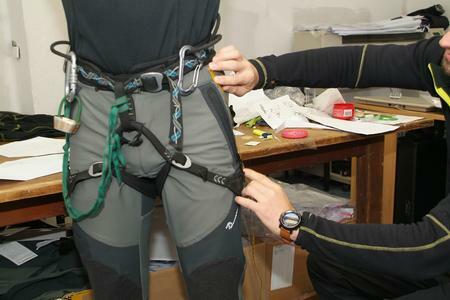 In the world of outdoor clothing, DIRECTALPINE is a leading brand. This comes naturally with our great team of motivated young people led by experienced designer Radek Nováček, who are devoted to developing our products. Even at a glance, it’s clear that these designers are no strangers to the outdoors: for them this isn’t just a job – they work with real enthusiasm and fervour for their cause. Our Development Team simply lives the outdoors, whether it’s climbing or hiking, paragliding or biking, or whatever other outdoor activity. We’d like to share with you the clothing range we develop for ourselves: developed for the utmost of comfort and functionality. Thus we come to work with our own new ideas, solutions, innovations, and inspiration for new features. 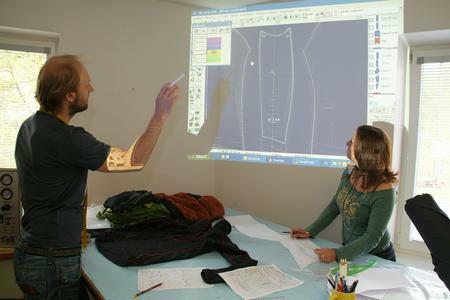 We bring our personal experiences into the development workshop and all of us genuinely strive to achieve an excellent cut for the perfect fit, in which every feature and garment comes together to create a coordinated unit. 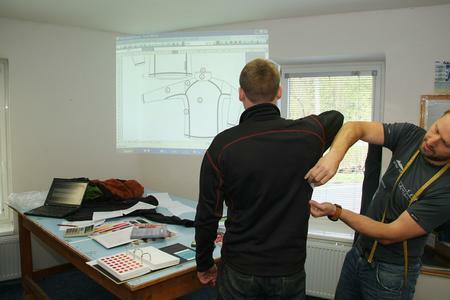 For us it’s only natural to develop every feature of out jackets, trousers or pullovers with enthusiasm. We discuss every stitch, every centimeter of seam, and what type of thread we’ll use. 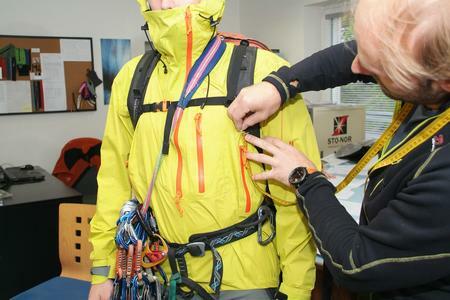 We debate the exact position and type of every zip, loop and drawcord, so that they are as accessible as possible, even with a rucksack or harness, or when cycling. We speculate over the elasticity of different materials; whether to use them horizontally or vertically so that every panel of material comes together to make a perfect fit. We contemplate and test the best types of material, sufficient breathability where it’s needed, meanwhile elsewhere water-resistance for your maximum protection. We consider elasticity, the positioning of individual panels within the overall cut of the garment, and the way each material hangs, as well as how it feels on the body. We ourselves - along with members of our Test Team - use the clothes and put them to the test, so we well know how to combine materials and add features to reach optimal functionality of the overall garment. We immediately take every prototype to the outdoors, to the rocks, to the mountains. We love trying our garment ideas outdoors: whether it’s on a beautiful spring day, in autumn rain and sleet, or in the snow. We instantly see the results of our work for you and what we still need to improve, finalize. Even as we are returning home, we’re considering what else we can improve, we imagine that drawcord on the side, move this zip a little, a different seam for better shoulder movement.... in short, we are always coming up with more and more ideas. There’s nothing better than one’s own development and creative innovation. An experienced team who are passionate about there cause is irreplaceable. Only enthusiasts can develop products with such energy and such determination to move themselves and their work ever onwards and upwards. This distinguishes DIRECTALPINE from most other brands: in this we are, and always will be, better than the rest. We forever give emphasis to every detail; insist on testing; and invest our utmost of energy and established know-how to development. We realise our new ideas every day, under the guidance of our Test Team, our customers and our business partners. 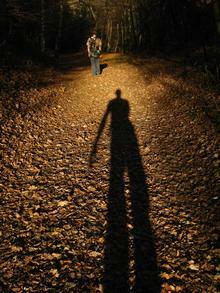 In short: we want to develop the best and most-carefully-thought-out outdoor clothing for you. That’s why we are always pleased to meet you in the mountains, on bikes or anywhere in the great outdoors. Well, you know, we look at each other knowingly (and does he like his Patrols as much as I do? Does he only have one pair - or 2 like me? Or does he have Mountainers too? And over there, a lass in Badile Lady... yeah, I should get some too: good choice.) 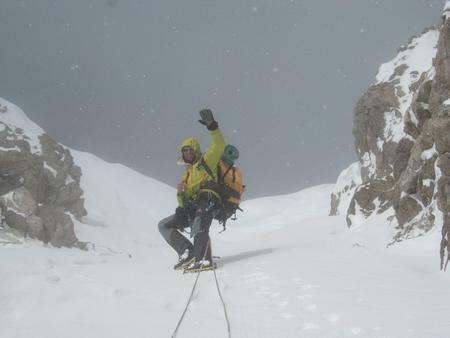 Another member of the big DIRECTALPINE family: we pass each other with a resounding “Hi” and we continue on our way. And we know that your clothing needs and desires are well looked after.